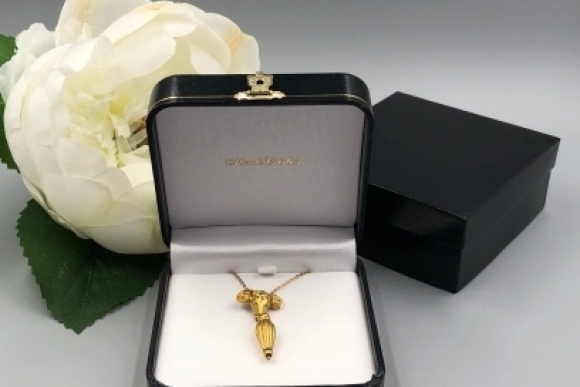 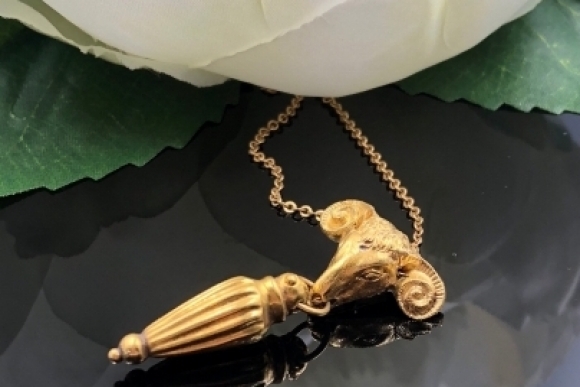 This beautiful 14K rams head and amphora gold pendant lavaliere is inspired by the Neo Classical Archaeological Revival period of the Victorian era. 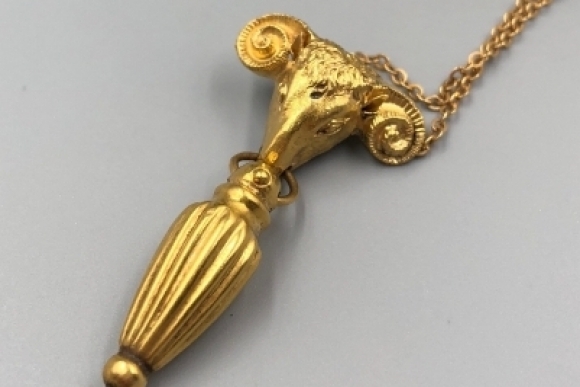 Highly detailed, the rams head suspends a gold amphora pendant. 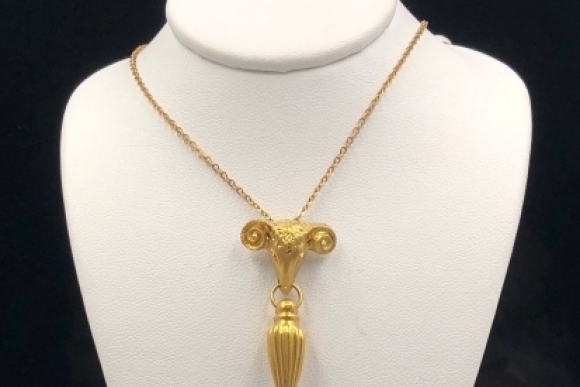 This theme most likely is associated with Aphrodite and fertility as the ram symbolized sexual potency and the amphora the vessel to receive it. 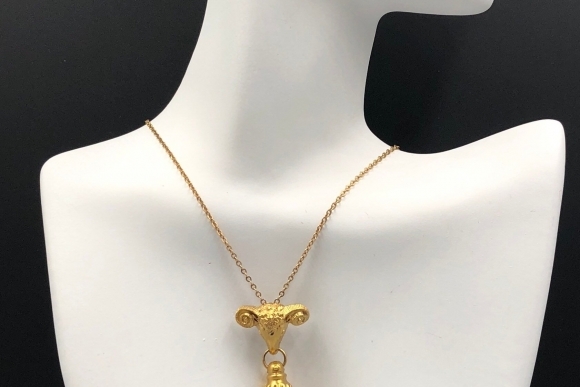 A wonderfully beautiful gift for the special Aries in your life too! 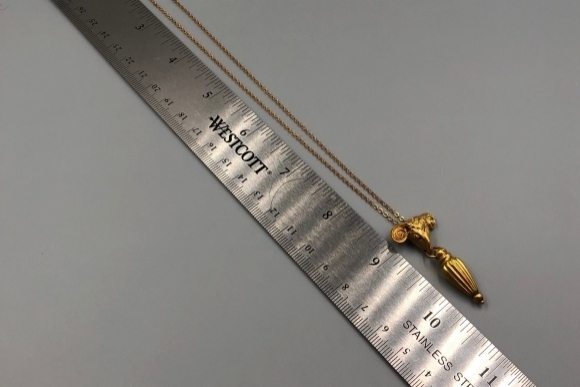 Suspended on an 18" 14K cable chain secured by a spring ring clasp. 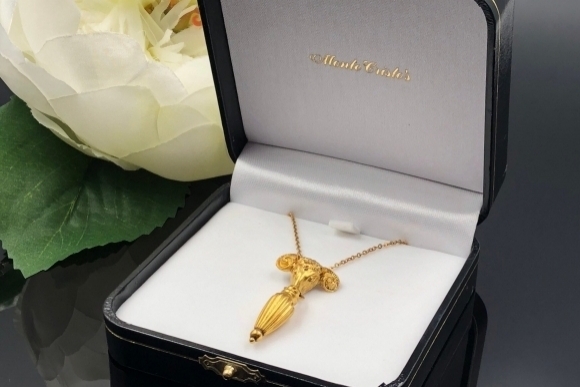 The pendant measures 1 5/8" x 3/4". 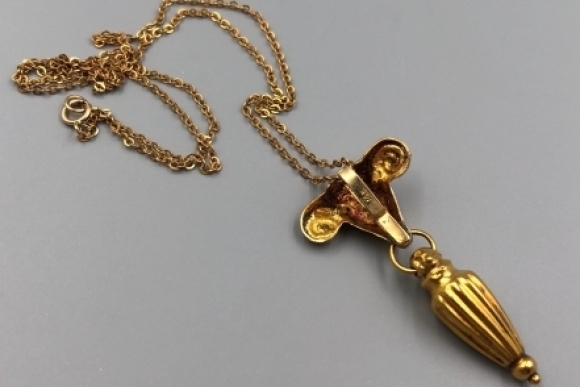 The chain is 18 inches long. 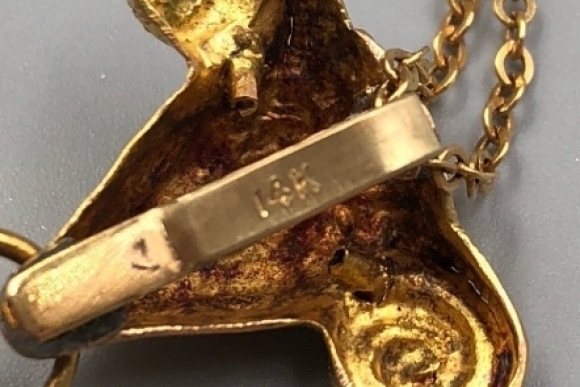 Weight is 4.6 grams.